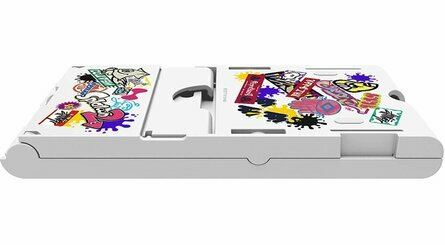 If you like playing your Switch in tabletop mode, and especially if you like playing Splatoon 2 in tabletop mode, then this upcoming accessory may well be for you. This officially-licensed release is arriving in Japan on 31st March, complete with an adjustable tilt angle to suit your needs (so much better than the Switch's own kickstand, then). It can be folded away for travel or storage and you can charge your console while playing thanks to a gap for the charging cable. It's available to pre-order from Play-Asia as we speak for £12.02 (international shipping is available) and orders are expected to ship on 31st March as mentioned above. Do you ever play Splatoon in tabletop mode? Do you like the design enough to treat yourself regardless? Let us know in the comments below. Hmm. Will probably do pretty good in Japan, especially with Splatoon on it. 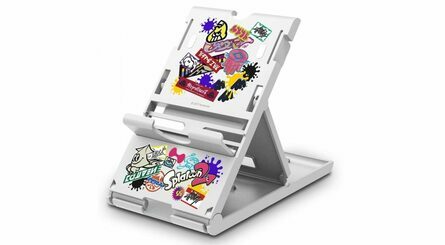 I have their standard playstand, which looks to be the same as this one, only much less Splatoony. It’s pretty solid, but I don’t end up using it that much. @klingki "It’s pretty solid, but I don’t end up using it that much." This is what I was coming in here to ask. How many folks actually use this stuff, or even play in table top mode regularly? Reminds me of the Wii accessory days of 2006-2008. I say '08 because by then enough folks had gotten wise to the gimmick. Turns out you don't need a plastic shell shaped like a tennis racket to play Wii tennis, after all! 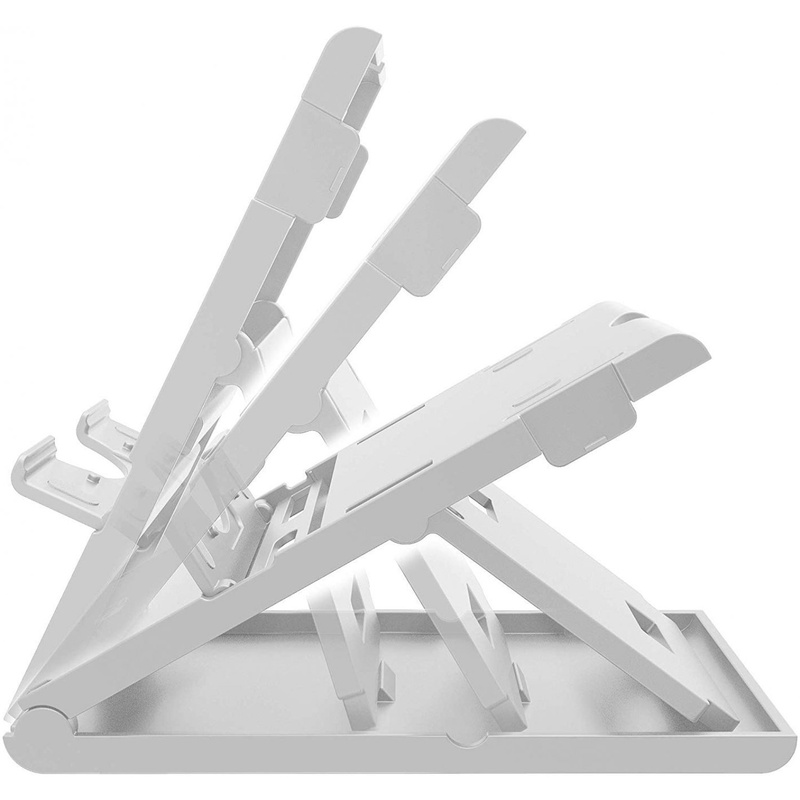 I have the original stand, it's a great design shame I've only used it a hand full of times. It also sits nicely in my Geo Teck case so it's always to hand if I need to use it. I'll pass more plastic toot! @hihelloitsme I use mine all the time and it’s a fantastic stand! I play my Switch almost exclusively in tabletop mode using a Pro Controller and it’s nice to be able to keep the system plugged for longer play sessions. It is also nice for Tate mode option, but I have only played in this mode once on the demo tables of Pinball FX3. It folds up nicely and is pretty sturdy. 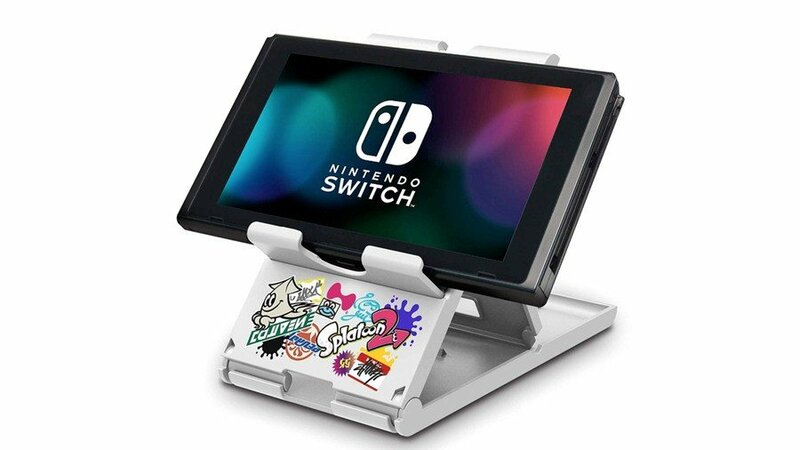 There are two little notches on the stand that line up perfectly to the two holes on the bottom of the system to hold it steady - plus there are some rubber grips on the bottom to keep it from sliding on the surface as well as rubber grips to for extra grip for keeping the Switch in place. 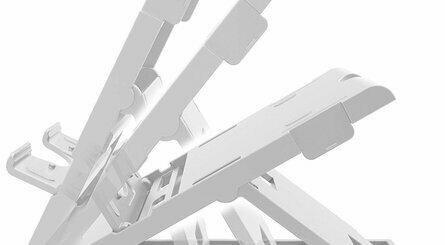 The stand also has 3 angles you can use for various situations. @NintendoFan4Lyf Nice, glad you're getting some solid use from it! @hihelloitsme It was one of those things I thought would be more useful than it really is. Like, “what if I want to play tabletop, but I also really need to charge? ?” In reality, that has never happened. Honestly, it’s been more useful for playing in places with uneven surfaces or when a little more height is necessary and the kickstand just isn’t cutting it. But again, those situations are not the norm. 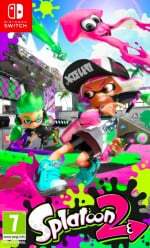 @hihelloitsme I use mine all the time, but only for Splatoon 2 when I'm out & about. For some games that rely on motion controls the feeling between console mode & handheld mode is just far too different... when I'm at home with my Pro Controller I can get 12 Splats (kills) a match, on handheld I struggle 2-3. The playstand elevates the screen into a more "tv-like" position allowing me to use the Joycon grip freely. @Klingki I'd personally add "when you're at a coffee shop with a good net connection but the tables are wobbly & you don't want to trust your £250 console & gamesave to the kickstand." The Hori stand is pretty rock solid. *Edited for Samsung spellcheck madness. That is pretty neat, but I just want a bland one. I use the basic black version of this stand. It's very handy. @hihelloitsme I play tabletop all the time as I mainly play at work at lunchtime. But have never needed a stand to play, as the one built in works just fine for me, even with earphones plugged in. I've wanted a stand like this for a while, mostly for playing TATE mode shmups and pinball. Not a high priority item for me, but it would be nice to have. I can vouch, I do the tabletop mode just as much as tv mode. The Hori stand is not fantastic, but it does the trick. Also ran, yes, manufacturers are going full Wii-mode on the switch. I too regularly play tabletop mode with charger plugged in, at my desk. I use my Kid Icarus 3DS stand. 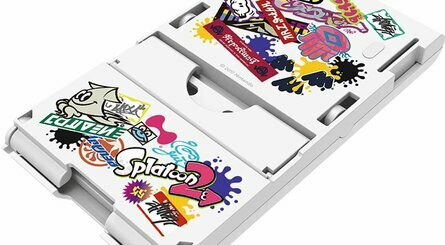 I wouldn't be averse to one of these though, but I have issues with Splatoon merchandise - far too much of that illegible text that means nothing to me and looks generic. Splatoon has some great styling, but all the merchandise I see falls to capitalise on it and is just covered in that alien text. I don't think I've ever played in tabletop. If I'm ever taking the Switch somewhere I know we'll be using it multiplayer, I take the dock. If it is the same lightweight plastic as the original, no thanks. I have the original and found it too easy to knock over. I got a padded metal tablet/phone stand from some generic company that is much sturdier and about the same price. I use mine often for playing touch-based games during mealtime, such as Jeopardy, Wheel of Fortune, Goosebumps, Monopoly etc., so I might eventually grab one of these themed stands, and while I'm not a big Splatoon fan, I really do love the design. Does anyone know if there's enough space for Genki Bluetooth Adapter?